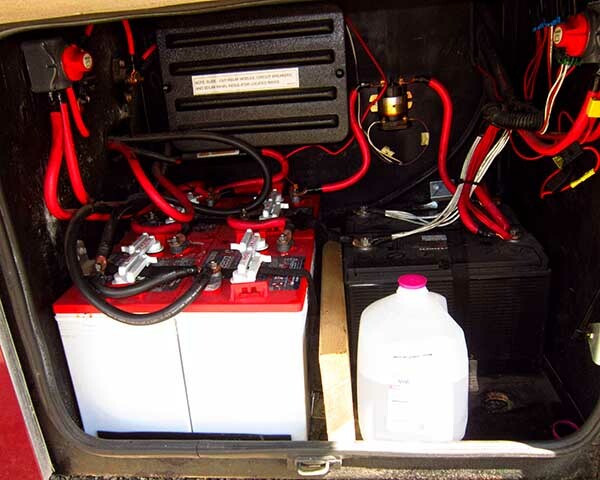 Whether you boondock or not, the batteries that supply power to your chassis and house are a critical component of your RV. 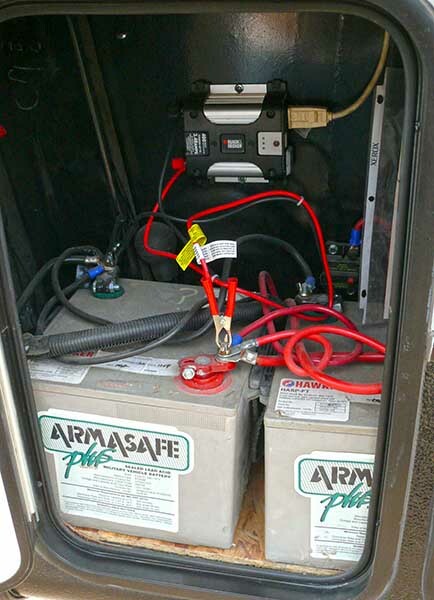 When it comes to batteries, you have two choices…maintenance free or those requiring regular maintenance. The less one has to worry about the better so many opt to install batteries that require no effort on their part. Our battery compartment requires some effort to reach the battery furthest back in the hold. It becomes quite a chore to stick ones head all the way back to the rear of the compartment to remove the battery caps and move the cables to peer into the battery to check the water level of the cells. I try to do this on a monthly basis especially if we are taxing the batteries when not on shore power. I for one am considering when the time comes to replace our rigs batteries, going maintenance free is the way to go. My neighbor at the moment has done just that. He doesn’t have as many batteries nor does his rig require them, but he chose to use his military experiences to select batteries that performed under some of the worst conditions…combat in climates that saw both extremes of hot and cold. 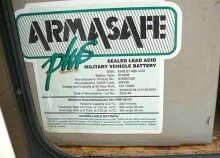 He installed Armasafe Plus in his toyhauler. Milspec or Military Specifications typically far exceed those used by nonmilitary applications. It has to perform each and every time as a life depends upon the item functioning fully when called upon to do so. So if you are in the market for maintenance free batteries, you might want to look at those offered by Hawker. Here in the US you can find them at EnerSys Energy Products Inc. Warrensburg, Missouri. I’ll be visiting that area sometime this Spring and will definitely be checking them out as a possible way to upgrade our batteries.